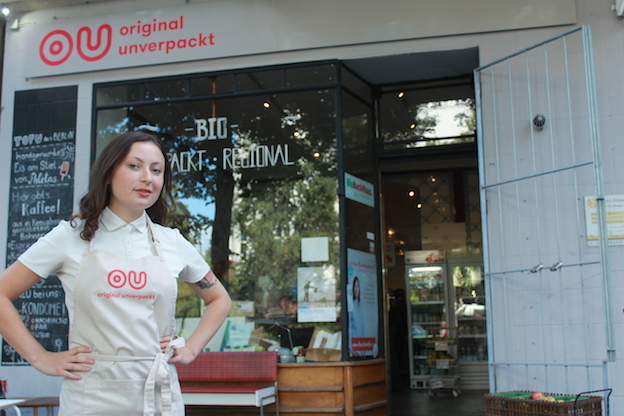 In our third episode, please enjoy my conversation with Milena Glimbovski, founder of Original Unverpackt, an innovative zero-waste supermarket in Kreuzberg, Berlin dedicated to offering locally sourced, organic produce and products. At Original Unverpackt you are encouraged to bring your own containers to fill up on the groceries you need. We like that! Listen in to hear how exactly the zero-waste philosophy works in a supermarket, what kind of products you can find there, the new projects they’re working on, and insight to starting an innovative business. Original Unverpackt is celebrating their 1 year anniversary this Saturday September 19th, so stop by and wish them a happy first birthday! More infos in the FB event.